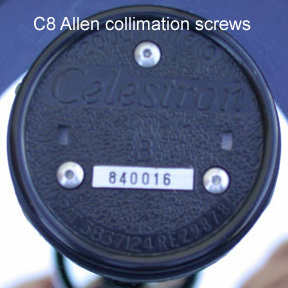 Fits: Celestron 8 inch (20 cm) f/10 SCT with factory Allen, Phillips, or headless set-style 6-32 collimation screws, with or without Fastar compatible secondary (C8 orange, black, or gray; Ultima 2000; NexStar 8). 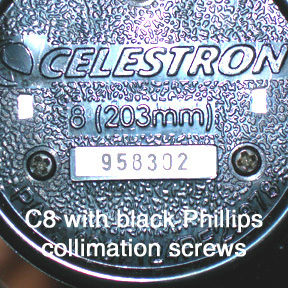 Note 1: These knobs will fit all C8 models made prior to 2005, and all 2005 and later models EXCEPT those with black Phillips factory collimation screws. 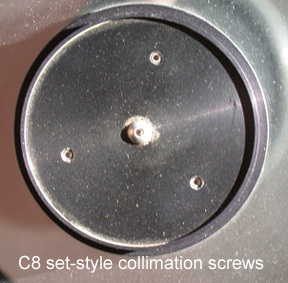 The black-screw model requires C8 metric knobs. 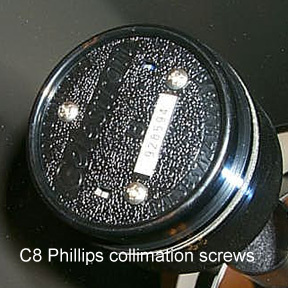 Check that our screw threads match the factory screw threads before installing. 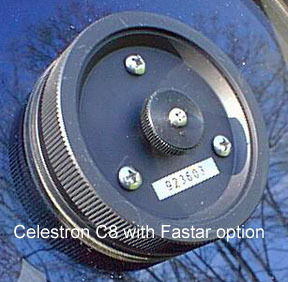 Note 4: We provide spacers for knobs installed on the Fastar compatible secondary to raise the knobs slightly for easier use.